Have you ever been to the grocery store and you see a familiar product, but it has packaging that proclaims that it’s “new and improved”? Then you look a little closer and it seems that only the packaging has been new and improved? It’s a little disappointing, right? Luckily, when Genuine announces a product that is “new and improved,” you actually get a product that is. 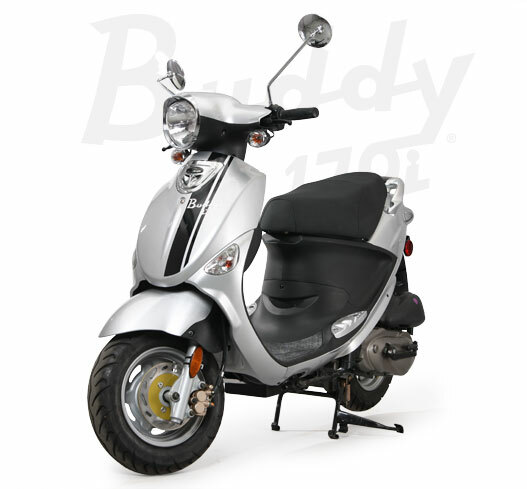 Genuine has created a new and improved Buddy model – the Buddy 170i. It’s always an exciting time for us when a new model comes out. The day our shipment of Buddy 170i scooter came, we eagerly unloaded the truck, excitedly unpacked the crate, and carefully set up the scooter. We couldn’t wait to try out this “new and improved” model. This scooter exceeded our expectations! From the first twist of the throttle, we knew this scooter was an amazing product. In fact, the only word we could find at the time was “Wow!” It has the best power-to-weight ratio of any scooter in its class. The acceleration is stunning and its fuel economy? Brilliant.